OMAHA, Neb. 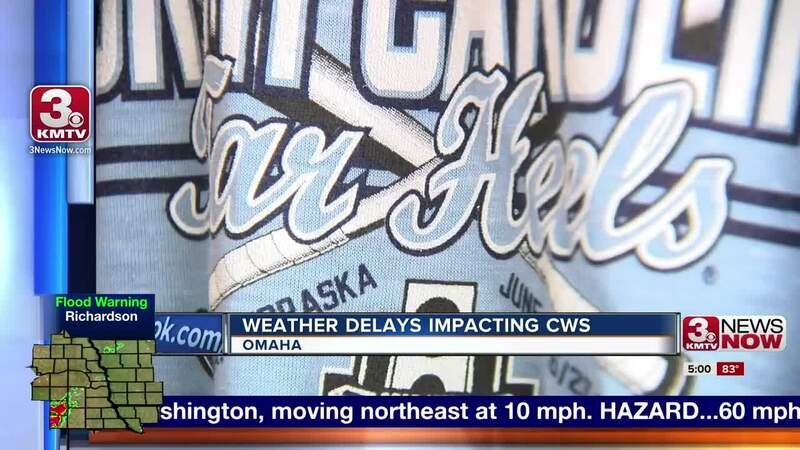 — With more rain and possible thunder storms in the forecast, the College World Series might see a few more game delays this week. Rain, wind and thunder impacted games Monday, causing the Mississippi State and North Carolina game to be rescheduled for Tuesday morning. The NCAA attempted to play a tripleheader Tuesday, but only got two of those three games in, the Bulldogs topped the Tar Heels in the first game and Florida took care of Texas in the second. More storms are expected through Wednesday and Thursday but once again, they will try to get games in. Wednesday morning at 11, Arkansas and Texas Tech will play a winner's bracket game. At 6 p.m., North Carolina takes on Oregon State. 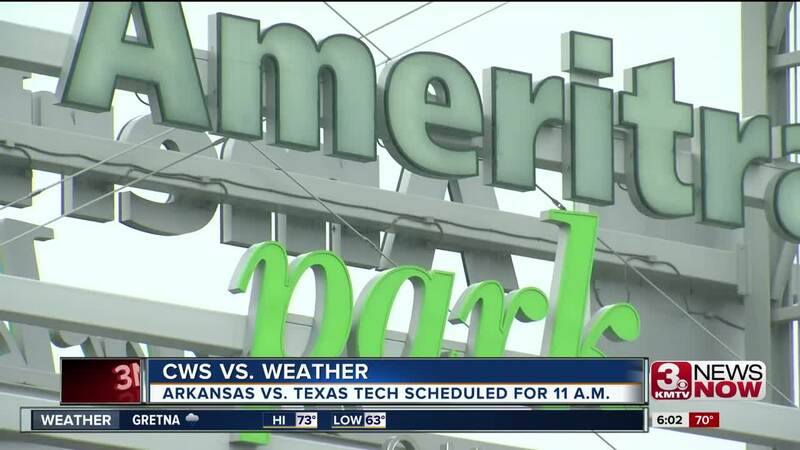 According to the NCAA, games are delayed if weather conditions affect the field or if lightning is spotted within 8 miles of TD Ameritrade Park.